For over a century, Mazola has been delivering great tasting, high‐quality products to families across North America. Mazola’s 100% pure cooking oils naturally accentuate the great flavor of foods with no additives and are cholesterol free for today’s healthy lifestyle. In a crowded and often commodity-driven category, Mazola has always aimed at being the premium brand of choice. Finding that unique point of difference that resonates with today’s consumer has meant more than leveraging the brands trusted reputation – it has meant reinventing how consumers perceive oil and its relevance in today’s healthy kitchens. We all demand the best from the brands we trust the most, and research showed the same holds true for cooking oil. 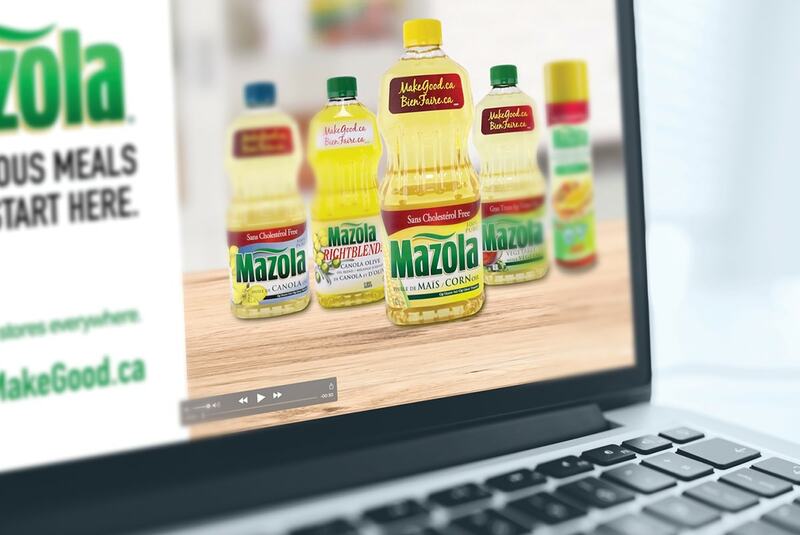 With 73% of those polled stating that the ‘healthiness’ of an oil is really important to them and 42% saying they would only use the highest quality cooking oil, it was clear that Mazola’s positioning was consistent with consumer values. Mindshape recognized the opportunity to create an engaging dialogue with consumers that supported their core values and promoted the brands quality attributes. Insights from TV and digital concept testing showed that consumers were interested in simplifying the cooking experience while using healthy ingredients. Providing easy recipes would strengthen brand associations and drive the Mazola brand preference. Baking and preparing home-cooked meals has always played an important role in shaping family traditions and the memories we cherish. Working with the Mazola brand team, Mindshape set out to craft the very stories that connect people over the experience of making their own special memories. At the same time, we have extended brand engagement through social and digital marketing strategies on the makegood.ca web channel. 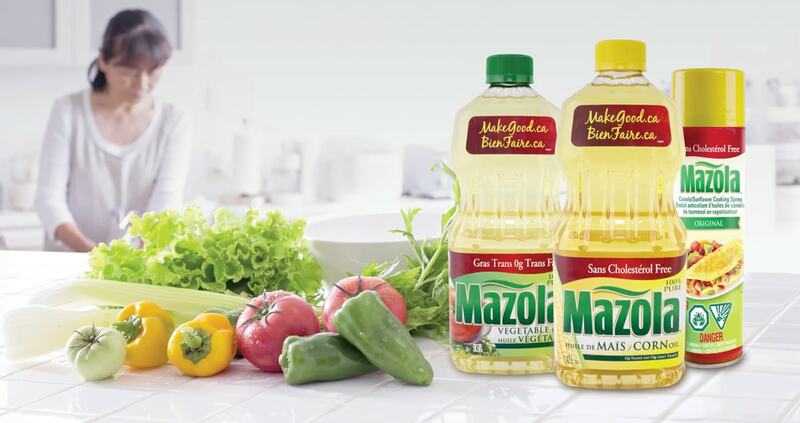 Mazola has been an established brand favorite since 1911 and will continue to be the oil of choice for consumers who value quality, nutrition and those special memories that only a trusted brand can deliver.